"this may not be a smart move & painful1 too, but in the long run I'll look back& be glad I moved on from Dirty Beaches. Thank you all x"
It's always a bummer when one of your favorite musical acts finally calls it quits :( Yesterday, after 9 years of creativity, ambition, and success, Dirty Beaches pulled the plug. 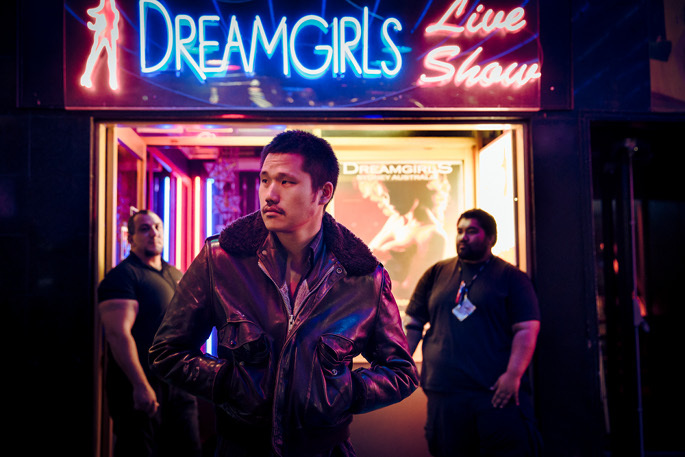 Alex Zhang Huntai, the man behind Dirty Beaches, accomplished something that hasn't been done in music yet--at least in such a modern old timey, jangly way. His baritone, muffled voice crooned over romantic, gritty soundscapes, crafting a smooth but gravelly sound that alluded to the roaring eras of the early 1900s. To Dirty Beaches I say a heavy goodbye, but I'm still smiling at what goodness I know Alex will bring in the future. "Hungtai is still a vagabond who’s running from himself even as he tries to find himself, it’s just that, this time, he’s seeking solace in dive bars, after-hours clubs, and generally anywhere a rebel with a cause like him can get into trouble..."
- Arnold Pan, PopMatters Music editor from the article/review "Dirty Beaches: Drifters/Love is the Devil"
Album art from my favorite single "True Blue"
that my heart will always be true"